This one is everything you could hope for in a mature Oregon Pinot Noir. With its aromas and flavors of black raspberry, dried cherry, pipe tobacco and spicy underbrush; its suave texture and inviting sweetness; its brisk note of orange zest; and its resolved, fine-grained tannins, I thought I was drinking a mature wine from Gevrey-Chambertin or Morey-Saint-Denis. Two thousand two was an outstanding vintage for Oregon Pinot Noir, and Tony Soter’s Beacon Hill bottling showcases the balance, richness and deep fruit character of the year’s best examples. 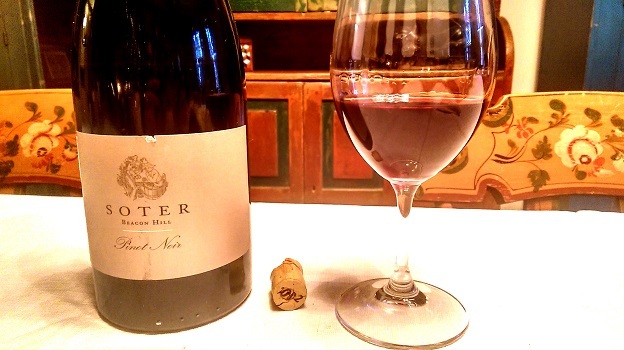 Soter, who established himself as a Pinot Noir master during his long tenure at Etude Wines in Carneros (he founded the winery) and also served as consulting winemaker for the likes of Araujo Estate, Dalla Valle, Spottswoode and Viader, decamped to Oregon in the late 1990s. In short order, he gave up his California consulting gigs to concentrate on his new Oregon venture, Soter Vineyards, and Etude, which he sold in 2001. Incidentally, Soter sold Beacon Hill after the 2006 vintage and moved his home base to the ridge-top Mineral Springs Ranch vineyard, where he continues to make Pinot Noir and standout sparkling wines. 93 points.